Orlando Leads in Manufacturing Job Growth? What company was number 1 in the first top 25 supply chains list from AMR in 2004? What are the best supply chains in the world? The reality is there is no way to determine that, absent an incredibly detailed study of leading candidates that would even then lead to potentially dubious results and certainly be obsolete by the time the research was finished. 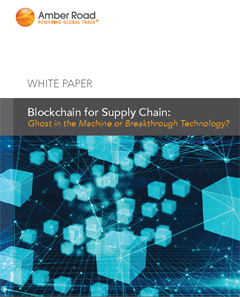 Or, we could look at the Gartner top 25 supply chain list. I spent a couple of days at the Gartner Supply Chain Executive Conference two weeks week in Phoenix (See Trip Report: Gartner 2018 Executive Conference) but left before the big dinner Wednesday night where the top 25 list is now unveiled each year. So, the reference point, in theory at least, is not "the best supply chain," but rather leadership in "DDVN orchestration." Are these the same things? The former AMR Research brilliantly came up with the top 25 idea in 2004. Gartner then acquired AMR in 2010. Over the last few years, the concept has been extended, so that we now have a "Next 25," plus the top 25 healthcare, industrial, and consumer goods supply chains, etc. So once again at the conference this year, I asked around a bit, and found - not surprisingly and as usual - that very few supply chain practitioners have any real idea how the list is determined. They only know if they are in or they are out, and that's about all that matters. This year Unilever came out on top for the third year in a row. Again in 2018, Apple, Procter & Gamble, Amazon and now joining them McDonald's were left off the formal top 25, as those four companies have been placed in a separate relatively new category called "supply chain masters," a sort of supply chain hall of fame. To get there, Gartner says a company needs to have attained top-five composite scores for at least seven out of the last 10 years. Why does Gartner do this? It frankly may have to do with in effect getting more companies in the top 25 plus the new masters category combined - Gartner clients like that recognition, of course. It may also allow the top 25 list to appear a bit more dynamic. As I have said before, I find the masters list idea a little goofy, but so be it. With Amazon, Apple, P&G and McDonald's withdrawn from the competition, the rest of the top 10 was (2) Inditex (Zara), then (3) Cisco, (4) Colgate-Palmolive (up from number 9), (5) Intel, (6) Nike, (7) Nestle, (8) Pepsico, (9) H&M and (10) Starbucks. Just three new companies made the Supply Chain Top 25 this year versus 2017, that being Novo Nordisk (pharma company), Adidas and Home Depot. With McDonald's being promoted to the masters list, two other companies fell out of the top 25 - Lenova and Nokia. A chart of this year's Top 25, also with where each company placed in the last three years (NA means not in the top 25 that year), can be accessed here. So, you ask, how on earth is the top 25 determined? Gartner starts with the Fortune 500 list of top US companies by revenue and the Forbes global 2000 list that basically does the same thing on a worldwide basis. It then eliminates a lot of those companies because they do not much operate what most of us would think of as a real physical supply chain - companies in banking, insurance, software, and many more. What's more, the minimum revenue to be included in the final evaluation list was again an amazing $12 billion. ROA and revenue growth use a three-year weighted average, meaning the most recent year gets the most weight and the two prior years somewhat less. Inventory turns, smartly, uses the prior year's quarterly average (reducing impact of end of year games). These three metrics together are given a full 40% of the total score weight (20% to ROA, 10% to turns, and 10% to revenue growth). Those percentage weightings are actually down 10 percentage points again this year, as I will explain in a moment. Now keep in mind that this formula gives a tremendous advantage to some companies, such as Amazon given its huge revenue growth or McDonald's and its 175 or so inventory turns per year. It also penalizes companies like a Home Depot or a Lowes, for example, which are only going to have turns in the mid-single digits at best, because of their need to stock every item under the sun to meet customer service targets, many of which are very slow movers. 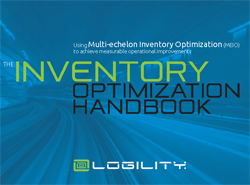 In general, this approach penalizes a company within a given sector that strategically decides on a higher service, lower turns strategy (even though we can all agree that inventory efficiency is a very important attribute of supply chain excellence). It also gives an advantage to companies that are aggressive acquirers in terms of the revenue growth factor. Companies that have heavily outsourced production and distribution also have an inherent advantage. Why? Because they have chosen to shed assets, and that often drives their ROA metric higher. While outsourcing can be a very smart thing for many reasons, it does not inherently improve a supply chain. This metric also inherently discriminates against asset-intensive businesses, such as chemicals and automotive. That no doubt why we see only three such companies (Schneider Electric, BASF and BMW) in the top 25, generally towards the end of the list. So, at this point, you must be a very large and public company to be considered in the analysis. Private companies do not have the public financial data needed for this part of formula and cannot make the list. For the third year in a row, a new corporate social responsibility factor was added, which now represents 10% of the total composite score. This factor, entered in the end as a number between 1 and 10, comes from a combination of publicly available 3rd party scores on this criteria (which you can trust as accurate or not). Number 1 Unilever again received a perfect 10 score on this measure, as did a number of other in the top 25. Another 25% of the final rankings come from so-called "peer opinion." For 2017, this consisted of about 184 apparently very influential respondents who first select a group of 25 companies from the master list of about 300 that they believe are doing the best job of being a "demand-driven value network orchestrator." Sure, we all have that list in our heads. From those selections, respondents are then asked to rank those companies from first to last, from which points are assigned to the companies selected based on how they are scored across respondents. So, the reference point, in theory at least, is not "the best supply chain," but rather leadership in "DDVN orchestration." Are these the same things? I would say certainly not. Gartner defines DDVN orchestration as is being "characterized by an understanding of customer value with processes and metrics that enable business trade-offs to deliver products and services profitably. 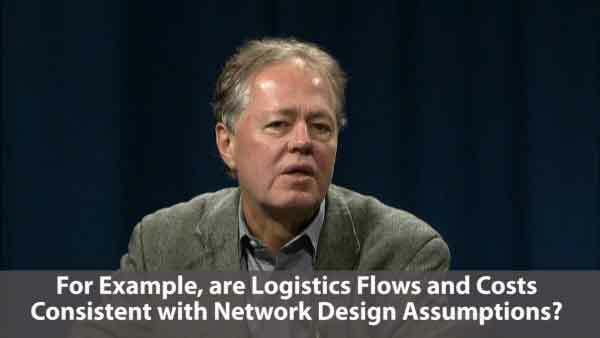 Companies that work toward the DDVN ideal use demand management as a key differentiating capability, so they can plan, sense and shape in a way that brings profitable balance to the business." The final 25% of the composite score came from votes from 42 of Gartner's own supply chain analysts. They use the same tool and criteria that the peer group does in ranking company supply chains. Take the financial rankings, the external CSR scores, and the votes from peer group and Gartner analyst group (again, 40%, 10%, 25%, and 25%, respectively), and voila, out spits the top 25 in something like a mathematical fashion. Is the process perfect? Certainly not. The unstated assumption is, for example, that stellar financial results equals supply chain excellence. Only very, very large companies are considered. I am not sure demand-driven orchestration should really be the evaluation framework. Who really knows how good most other company supply chains are? And it seems clear to me that working with Gartner and even better speaking at the Executive Conference always has a beneficial effect on a company's placement. There are other mysteries. For example, Nova Nordisk, which came out of nowhere to number 13 after having never been on the list before, was dead last among the top 25 in peer and analyst ratings, was second to last in inventory turns (just 1.2), and was middle of the pack on growth. But it had the top ROA score of 37%, and received a perfect 10 on CSR. That all turns into the 13th best supply chain ranking. And speak at the conference. The Gartner top 25 supply chains - it has many faults, but it is the best we've got. I look forward to it every year. It certainly stirs the pot - but there must be a better way. What do you think of the Gartner Top 25 supply chain list and methodology? How could it be done better. Let us know your thought at the Feedback button below. We received a number of emails on our column on our recent study of retail-vendor supply chain relationships, especially around the always controversial subject of chargebacks. Below are a few of those emails, some from our partner RetailWire. Chargebacks are the symptom, not the problem. The problem is compliance, and it has to be fixed at the root. Chargebacks should be used exclusively to drive home the need for vendors to comply with agreed-upon requirements. The financial hit has impact on compliance. Conversely, collaboration can be achieved only between highly ethical, disciplined businesses. If either side of the transaction lacks those qualities, there will be chargebacks. There are two types of chargebacks. One type is very legitimate and the other is simply robbery that retailers institute for themselves doing a poor job. Three examples: My company sold to Walmart, Target and Walgreens among others. We never had a chargeback from Walmart. They gave us specific instructions of how to service them as a customer and we met their needs. Target was another story. They, of course, priced our product higher than Walmart. Every so often they would claim we were selling our products to Walmart for something less than Target so they would deduct what they thought we were charging Walmart. We were not a huge CPG company. We would fight and often lose. Then there was Walgreens. They ran a huge nationwide promotion on our product. Bought more than we recommended. When it didn't meet their expectations, they didn't pay us. Chargebacks to a vendor are OK and deserved when a vendor doesn't comply. But chargebacks to a vendor when the retailer makes the mistake is as bad as robbery. This study shows that both parties feel the other party doesn't have the skill needed to collaborate, both parties feel there is a need for better tools and data visibility and they also both feel there's little interest in collaboration in general. Hmmm. So, we don't think our trading partners have the skills required, we need better data & tools, but aww, heck, we're not really all that interested in this collaboration thing, anyway. LOL. Seriously?! These barriers are not all that new. I can remember at least back to the '90s when we also had little overall interest in collaboration. Everyone has talked about it for years. But talk is cheap. Investing in the right tools available today to capture that "dark data" and reap real-time supply chain insights must require significant skills and budget on both parties' parts, right? Not necessarily. I think this is more of an awareness issue, than a level of interest issue. Chargebacks are probably necessary as long as we continue to operate in the way we have been for years. There will take some key disruptors in the industry to step up and take on this challenge. Q: What company was number 1 in the first top 25 supply chains list from AMR in 2004?